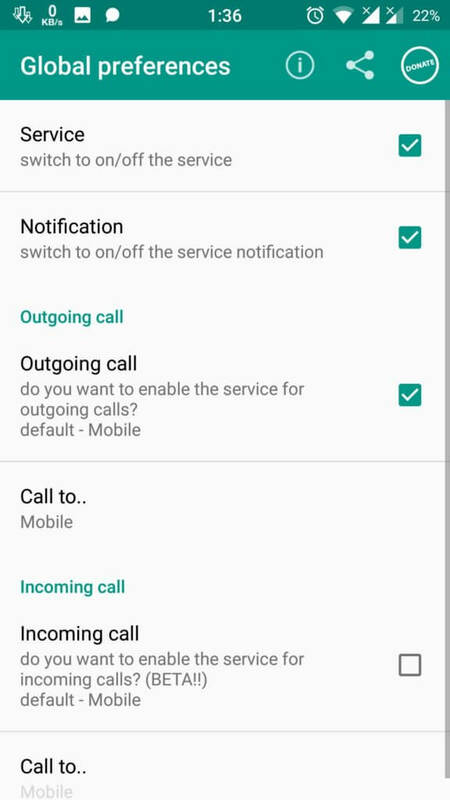 How to Disable Whatsapp Calling: Hey Guys, in this Tutorial I will tell you How can you Disable/Turn off WhatsApp calling on your Android device. Many of you are already using WhatsApp on your Android, but sometimes you don't want to Receive WhatsApp calls on your WhatsApp because some annoying people. Sometimes We use WhatsApp for our official help Customer care like Some companies do like Champcash. 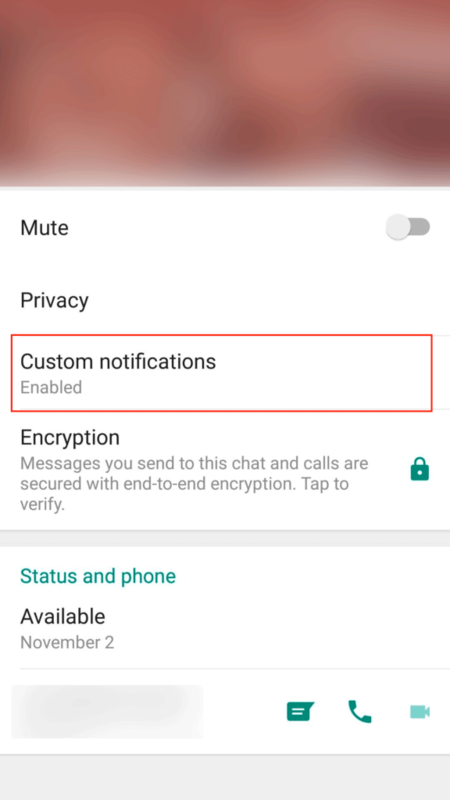 So if you want to Disable WhatsApp calling on your Android phone for any reason, then you can follow our tutorial. 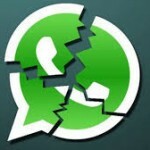 WhatsApp calling is one of the greatest feature of WhatsApp, but sometimes we may want to disable WhatsApp calling. When you come online on WhatsApp, Some of our friends try to call us, which can irritate some times. So One solution is to disable WhatsApp calling on your Android. Can you also read more about Whatsapp calling on official WhatsApp website. Disabling WhatsApp calls can be easy. There are couple of methods available for this purpose. But We have mentioned some of the best methods for do this. I have explained 2 methods below, Which you can try on your Android and successfully deactivate WhatsApp calling on your Android. Unfortunately, there is no official way to do this, But we have some unofficial ways to do it, which we have mentioned below. 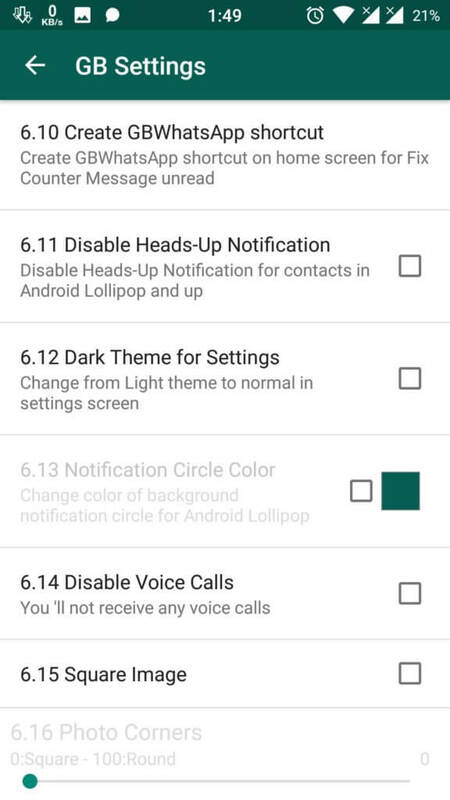 This is the method 2 for disable WhatsApp calls on Android. If you have any issues while using method first, then you can simply try this method 2 and it will surely work for you. 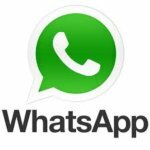 Some of you are already know about this app called GBWhatsapp but some of you don't know about this. Note – Make sure you backup your Chats first before use this method. 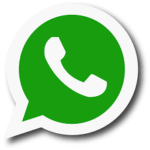 After Download GBWhatsapp on your Phone, Simply open it and verify your Phone number in it. Now After verify your phone number, it will open the app as simple as WhatsApp, but it have some more Features. Click Menu button of your device, Select GB Settings Option. 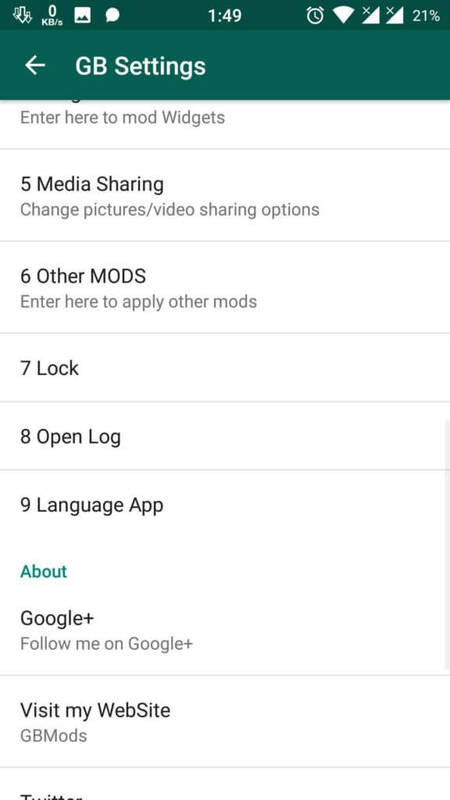 Scroll down a little bit and select the option of Other MODS. Now click Disable Voice Calls button and you are done. Open Chat of the person, Whose you want to disable calling, then click on their profile button. Then Select Custom Notifications Button. 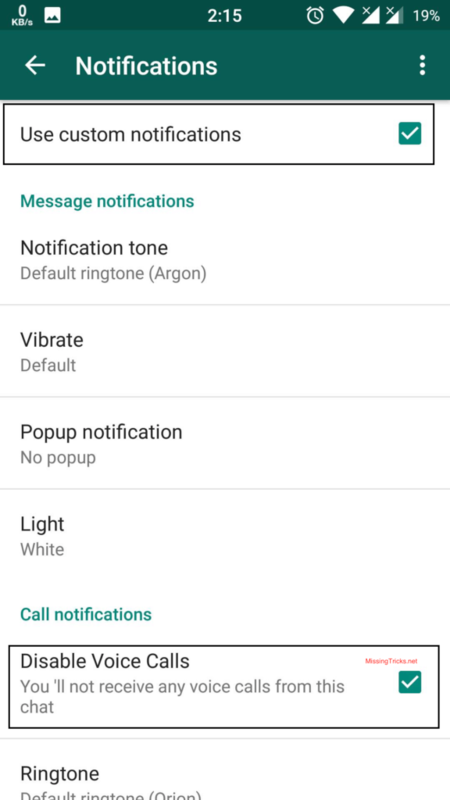 Click on Use Custom Notifications and then click Disable Voice Calls Button. You are Done!! You will no longer get calls from the person, whose calling you have disabled. Problems with this method? try below method. 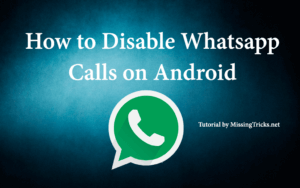 In this method, we are going explain method with the help of Disable WhatsApp calling app. 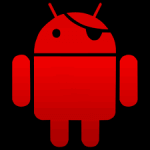 This app can work on any Android without rooting the device. 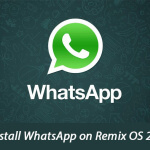 Simply follow below easy steps, for disable WhatsApp calls on your Android device without even root it. This method may or may not work correctly. 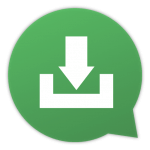 So if it didn't work for you, then simply try method 2 with GBWhatsapp on your device. Have a look at this method now from below and let's try that on your device. Note – This method is not working properly, So Usage of first method is highly recommended. Now Click on the app and hit Install button. It will start installing the app on your Device and open it on your Phone from App drawer. 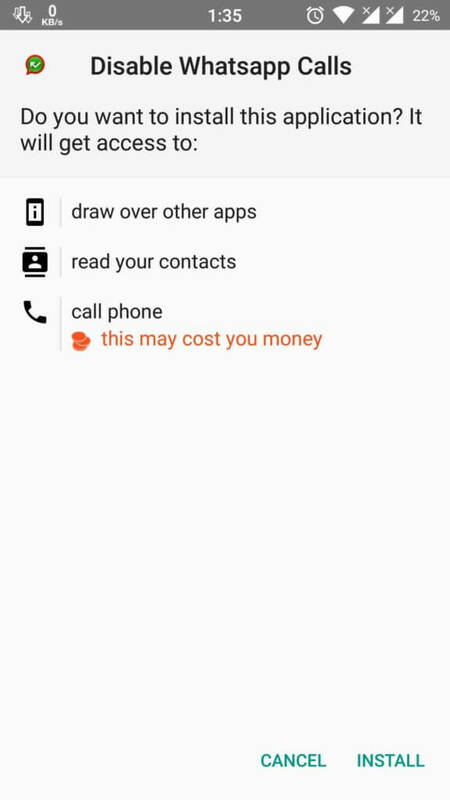 Then Click on Services button, Enable Notification access to this app. Now it will disable WhatsApp calling on your device. 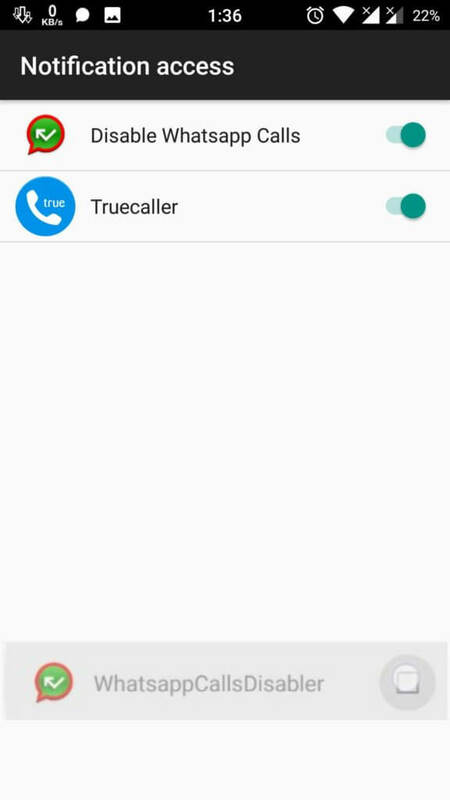 So Guys, This was the best way to disable Whatsapp calling on any Android device. 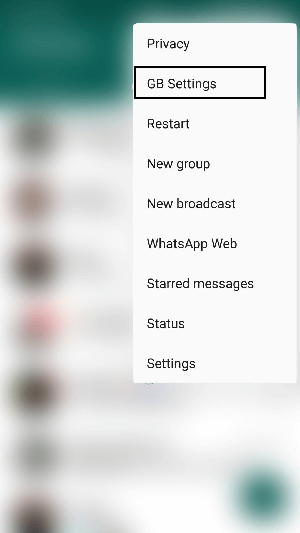 These steps will work surely for you to disable calling on your Whatsapp. So Simply enjoy this easy tutorial on your Android device. I will try my best for provide tutorial for iPhone devices too. So Stay tuned at this blog for more cool whatsapp related tricks like this. If you are facing any issues while follow this tutorial, then simply drop a comment below.